The number of old people in the population is increasing and so are age-related eye diseases. The diseases are often chronic which means life-long management. Current available and up-coming treatments can prevent or restore vision loss in many patients with these disorders. Yet some age-related problems have to be detected before irreparable damage to the visual system occurs. This public health challenge will create a growing demand for vision tests by eye doctors, ophthalmic nurses, optometrists and technicians. In her inaugural lecture Professor Lene Martin will give an overview of the most relevant vision tests, the interpretation of results, briefly describe the physiologic background, and discuss the clinical relevance of recent developments in computerised and internet-based tests, the practical implementation and the implications for the eye care service. Professor Lene Martin graduated as an ophthalmic technician, orthoptist, registered ophthalmic nurse and worked in an eye clinic for more than a decade. 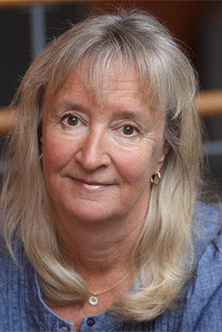 In 1993 she received her PhD from the Karolinska Institutet, Stockholm on 'Computer-assisted interpretation of resolution visual fields'. She is responsible for specialist education in ophthalmology for nurses, and has initiated courses in the use of computers in health care for Stockholm City Council. These courses have developed into masters programme in Health Informatics. She has produced a number of internet based courses and training programmes, both in ophthalmology and general health care. Professor Martin has published more than 55 peer-reviewed scientific reports, a textbook in vision physiology and examination techniques, and several computer programs. She is co-inventor of a patented algorithm for interpretation of hormone patterns in saliva, predicting cardiovascular disease. She has initiated the start-up and is consultant editor of the International Journal of Ophthalmic Practice (IJOP). Professor Martin has twice been awarded the Pedagogic Prize at the Karolinska Institutet and received a Pfizer prize for improving glaucoma diagnostics.